Time for another blog on what’s new in the world of red hot cake trends! The name of the game is buttercream flowers. 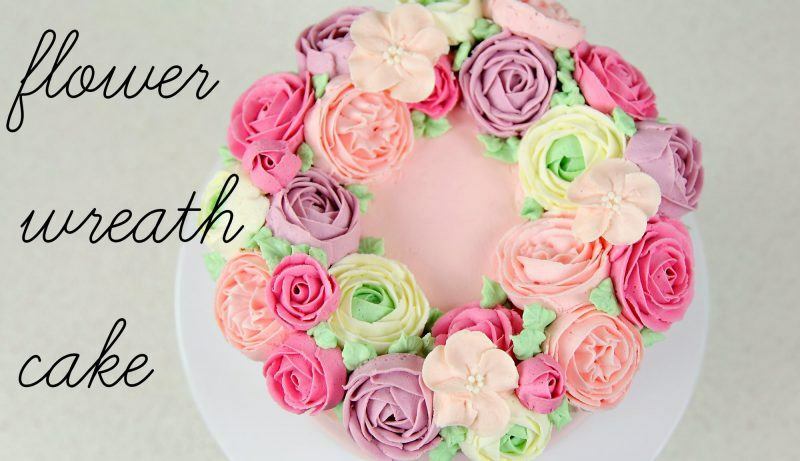 I am here to show you five awesome FREE tutorials on how to make beautiful buttercream flowers, from the ultra popular wreaths to an amazing arrangement of succulents! 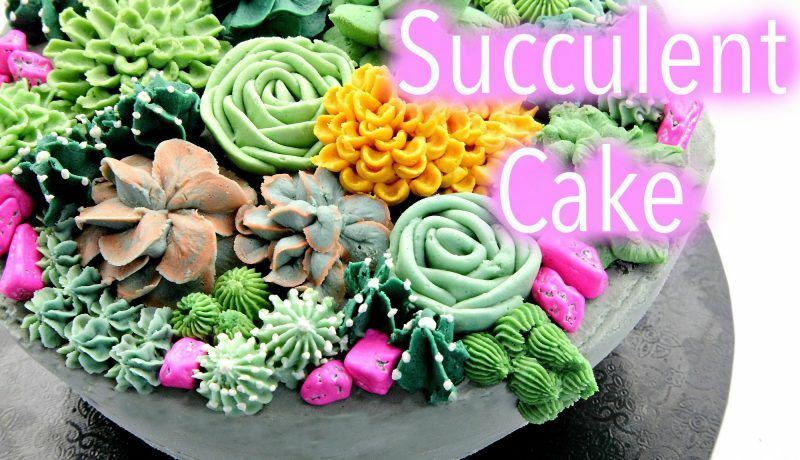 Yes BUTTERCREAM succulents! Let’s dive in shall we? 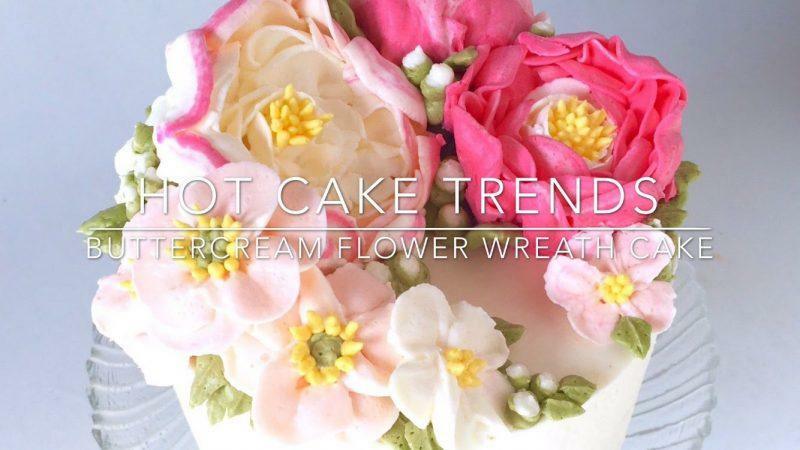 First up we have this gorgeous Buttercream Flower Wreath Cake Tutorial from Olga Zaytseva complete with super trendy peonies, poppies and blossoms! I love the fact that this wreath is not completely symmetrical all the way around. The larger flowers on one side cascading around to the smaller flowers on the other side adds a ton of interest! Of course I also appreciate the classic beauty of this Buttercream Flower Wreath as well! 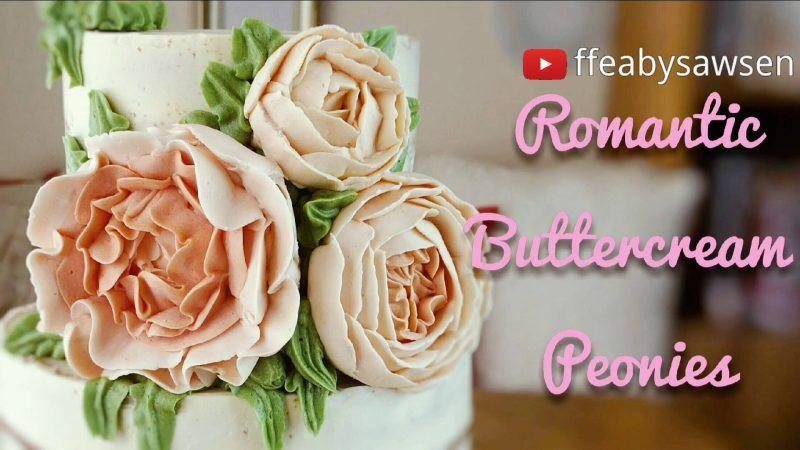 Here Cake Style shows us how to put together this lovely cake topped with three different styles of roses as well as a ranunculus and adorable filler blossoms. Here we have another tutorial from the awesome Cake Style demonstrating how to create this full blown arrangement of succulents in a concrete pot! In her Buttercream Succulent Cake Tutorial she shows how to do several varieties of traditional succulents as well as fillers. I am not a buttercream girl by nature but her tutorials really make me want to “give it a go”. (I also love listening to her Australian accent). 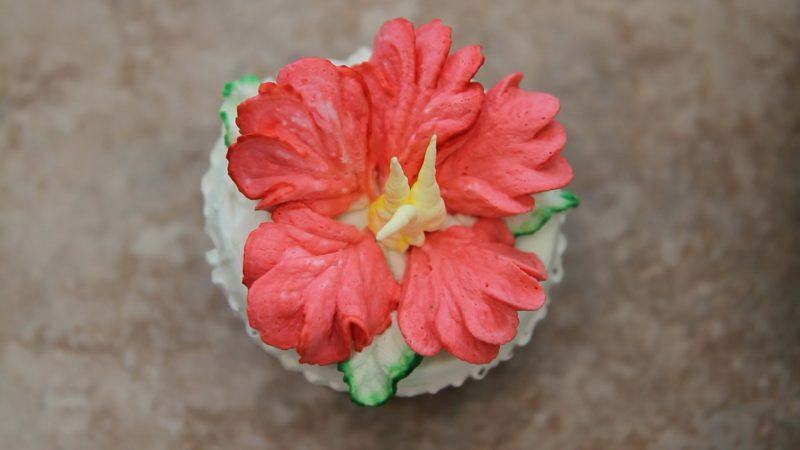 Next up is a super unique tutorial for a Buttercream Hibiscus Flower from Liz Larson. This gorgeous Hibiscus could easily be piped onto a large flower nail topped with parchment, chilled and added to any other arrangement of buttercream flowers! Pretty much in love with this one. 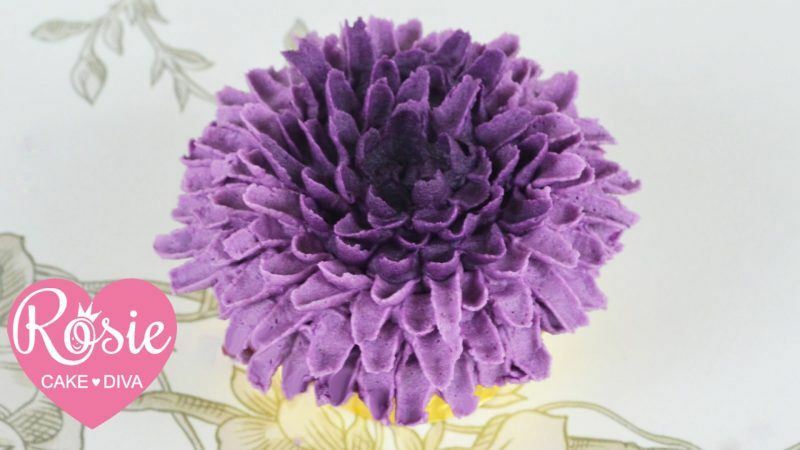 Rosie Cake-Diva is nothing short of fantabulous and here she shows us how to make a stunning Buttercream Chrysanthemum Cupcake. Buttercream flower cupcakes have been popular for some time now and again, this could also be piped onto parchment, chilled and used in another arrangement to really give it a wow factor! 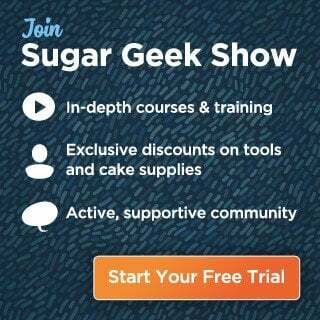 Did I say five free tutorials? Ah well, here is one more 🙂 I swooned over this beautiful cake by Fancy Favours & Edible Art adorned with Large, Ruffly Romantic Buttercream Roses and Peonies in pale natural shades. This screams modern buttercream wedding cake to me! Everyone loves free tutorials, I mean, my entire cake decorating career launched from the knowledge gained from free tutorials! There is something to be said though for also learning from paid tutorials. 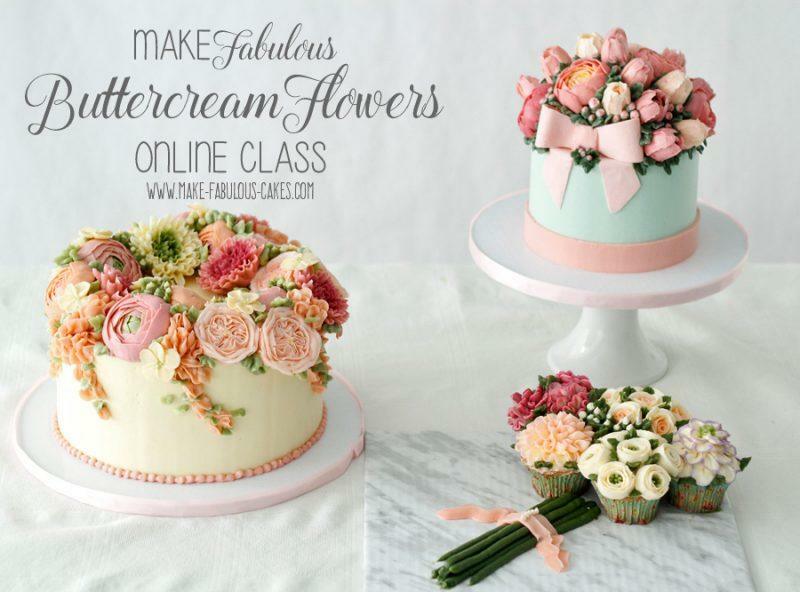 I happened upon this amazing Buttercream Flowers Class offered by Make Fabulous Cakes and knew I had to share this for anyone interested in taking their buttercream flower game to the next level! I mean look, just LOOK at these breathtaking, detailed, flawless buttercream flowers!! I hate when people say this but these really are ALMOST too pretty to eat. These peeps make all this buttercream work look so easy it makes me want to dust off my piping tips and flower nails, take some fish oil and get to piping! How about you?? Share your buttercream flower beauties with us on our FB Page when you do, and afterward be sure to take time to stop and eat the roses.